If you have been thinking about planning a weekend getaway for the girls, some high-quality, tax-free shopping might just factor into your decision making. Think about it… you will never pay sales tax on your purchases, your dining or your entertainment anywhere in the state of Delaware, making the Greater Wilmington area very appealing for an all girls’ fall weekend getaway. Just think of the jump you could get on holiday shopping and the savings that go with it. Let&apos;s take a closer look at some of the outstanding options that you and the girls will enjoy near Wilmington! A stop at the Christiana Mall is going to be a requirement, over 20 million people shop here each year for a reason. 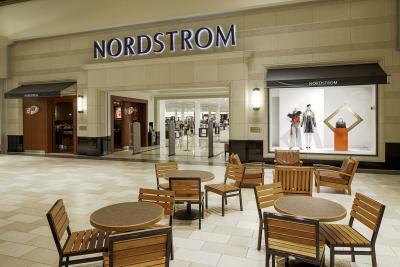 Here you will find not only traditional mall stores like Macy&apos;s and JCPenney, but you will also find the only tax-free Nordstrom on the east coast. You’ll also find great clothing shops like Anthropologie, True Religion, H&M, and Forever 21 and that’s just naming a few. Christiana Mall offers over 175 stores and restaurants. Beyond great fashion, the Christiana Mall is also home to the Apple Store that boasts the largest number of iPhone sales in the entire country (keep thinking tax-free). And if you are planning to get the kids a collection of iPads and MacBooks for Christmas, you will save enough in sales tax here to fund a significant portion of your trip. And, not to be left out, is the new and ever-growing Christiana Fashion Center located adjacent to the mall and boasts stores like Nordstrom Rack, Saks Off Fifth, REI, Best Buy and so much more. If the standard mall selection doesn&apos;t cut it for your girls’ weekend, think about the amazing finds you and your girlfriends will discover while working your way through the eclectic boutiques in nearby Greenville, Delaware or the hip shops in Newark. Greenville is the gateway to exploring Delaware’s "Chateau Country" where you will find many former du Pont family mansions now turned museum and well worth a break from shopping to explore. 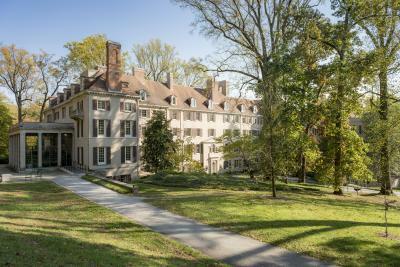 Hagley Museum tells the origin story of the DuPont Company, while Winterthur Museum, Garden and Library is the former home to Henry Francis du Pont and houses the world’s foremost collection of American decorative arts. Other nearby museums and gardens include the Delaware Museum of Natural History, Mt. Cuba Center and Nemours Estate. And, just a short drive over the PA line is Longwood Gardens, a premier horticultural showcase. Travel just a few minutes south of Wilmington and you’ll hit the bustling college town of Newark. Home to the University of Delaware, an award-winning Main Street, dining destination and dozens of shops and boutiques not found in the malls. 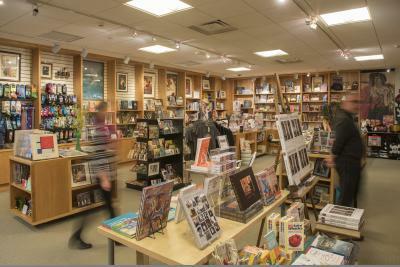 For truly unique gift ideas we suggest visiting one of the many amazing museum shops throughout Wilmington. From the Delaware Museum of Natural History to the Delaware Children’s Museum you’ll find one-of-a-kind, fun and educational gifts for the kid who has everything. Stop by the Delaware Art Museum, Winterthur, Hagley, Longwood Gardens or the Brandywine River Museum of Art for gifts ranging from art prints to jewelry, holiday ornaments and books. Assuming the typical family of four spends about $1000-1500 on Christmas gifts, you can save from $80 to $130 or more by purchasing those same gifts here in Delaware and avoiding any sales tax – all while having a fun weekend getaway with your girlfriends. Start planning your girlfriend getaway today, request a free visitors guide.